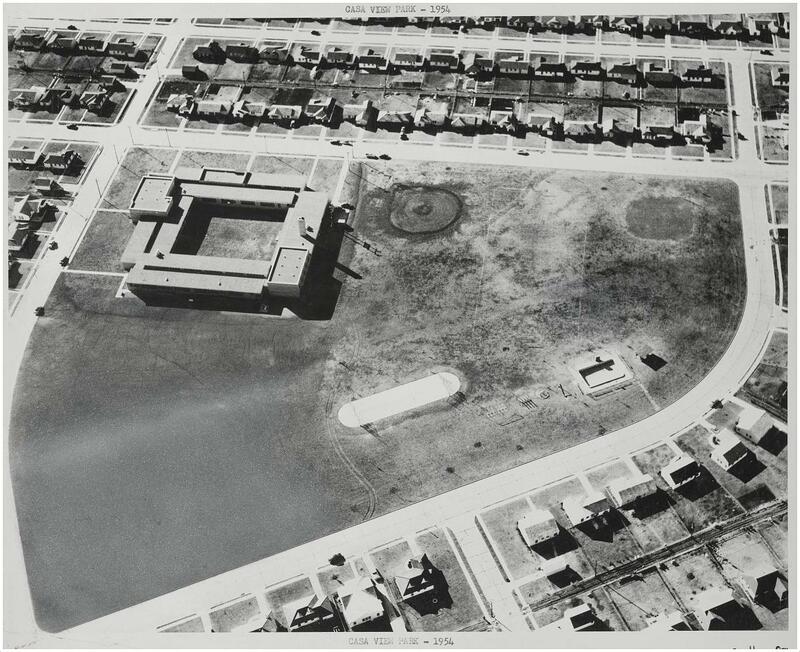 Here are several aerial photographs, taken over a 30-year span, showing Casa Linda Park, located east of White Rock Lake — most (if not all) were taken by noted Dallas photographer Squire Haskins. 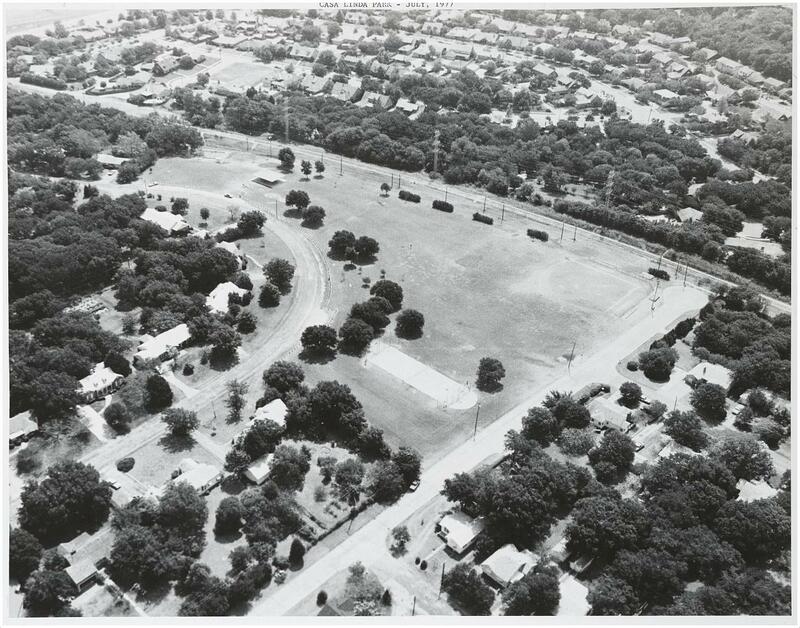 When the little 6.3-acre park opened in 1947, it was described by The Dallas Morning News as “rustic and picturesque” (DMN, Aug. 19, 1947), a description which could be used for the whole Casa Linda area which was being developed at the time by Carl Brown. 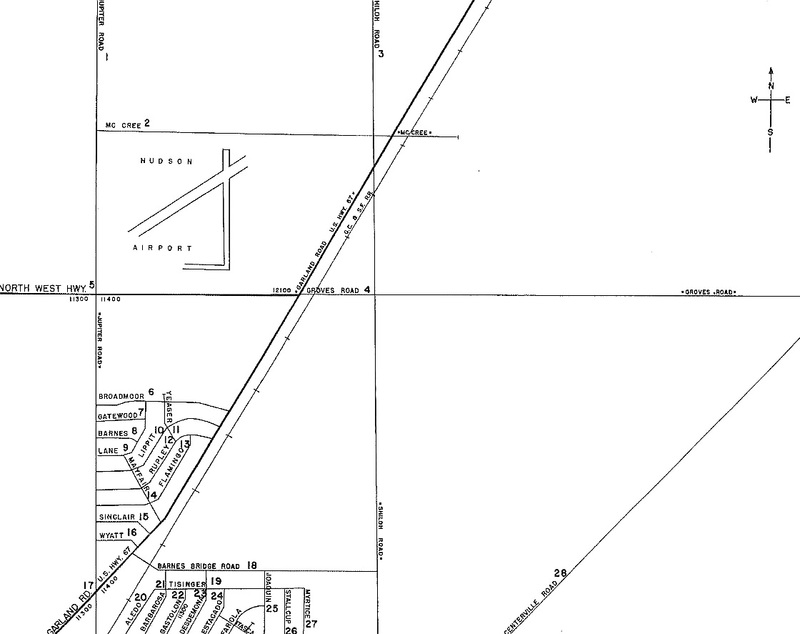 The land for Casa Linda Park was purchased by the City of Dallas in March, 1947, and it is bounded by Old Gate Lane on the southwest, the curving San Saba Drive on the north, and what used to be the Santa Fe Railway railroad tracks on the southeast, between White Rock Lake and Buckner Blvd. I’m not exactly sure where Little Forest Hills ends and Casa Linda begins, but both neighborhoods could claim this cute little park as their own, I suppose. 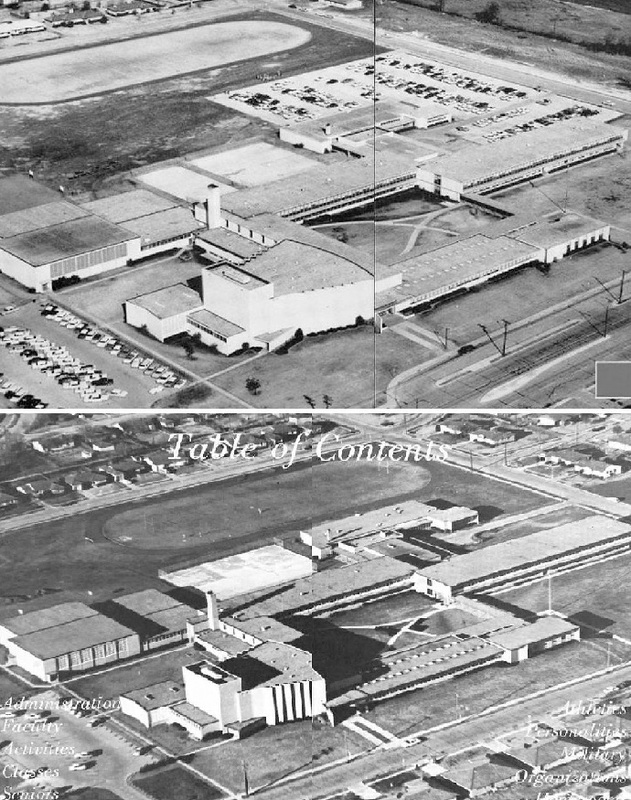 These aerial photos are from the Dallas Municipal Archives, via the Portal to Texas History (links can be found at the bottom of this post). All photos are larger when clicked. See your house? 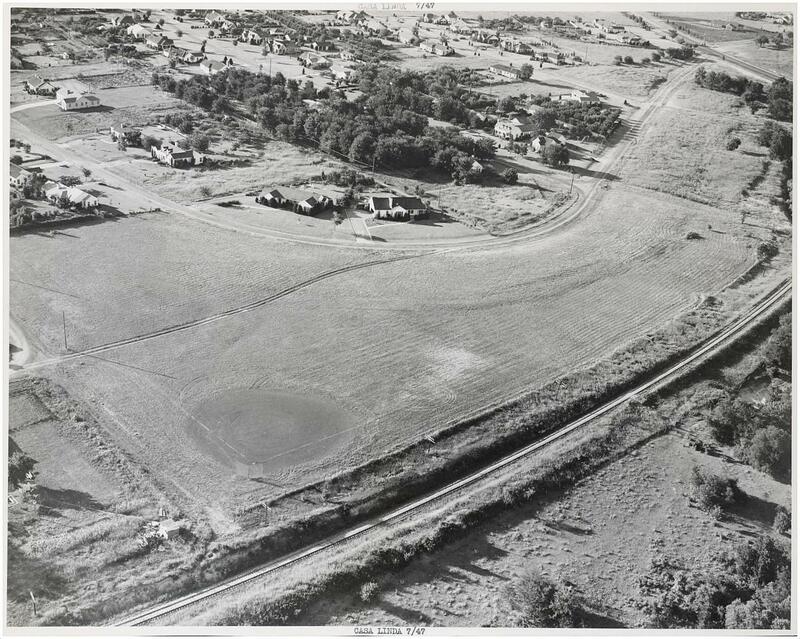 At the top, the earliest photo of the park in this collection, taken in July, 1947 by Squire Haskins. 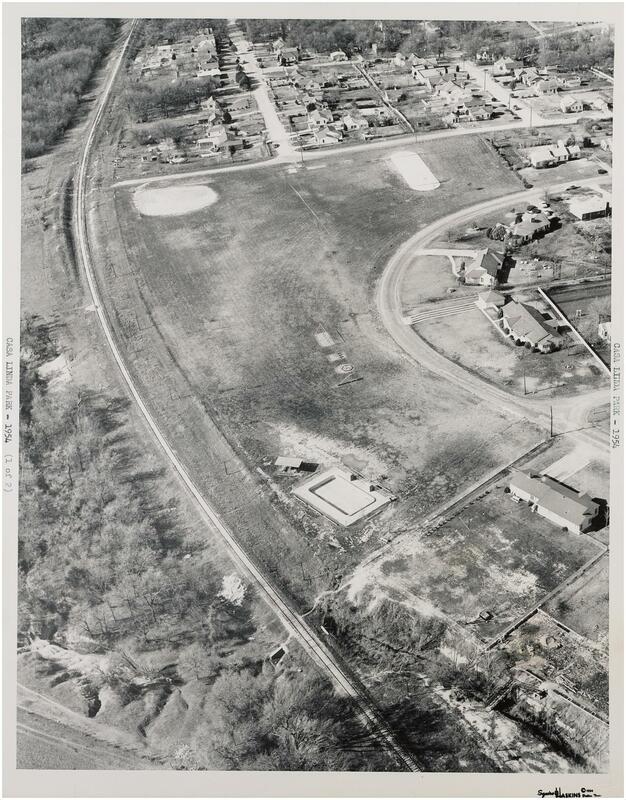 An aerial Google view of the park today can be seen here. 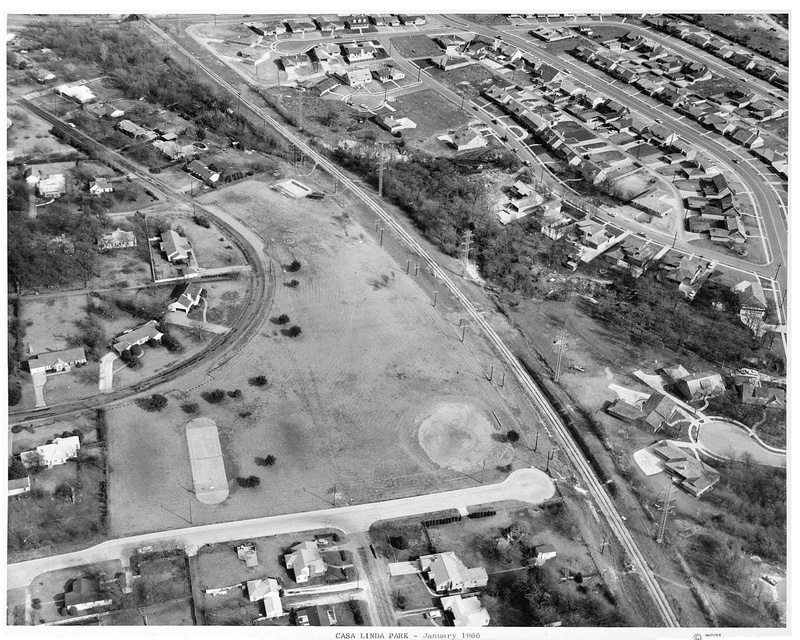 These photos are from the Dallas Municipal Archives, and are included in the collection “Dallas Parks Aerial Photographs” provided to UNT’s Portal to Texas History site; all photos above can be found here. 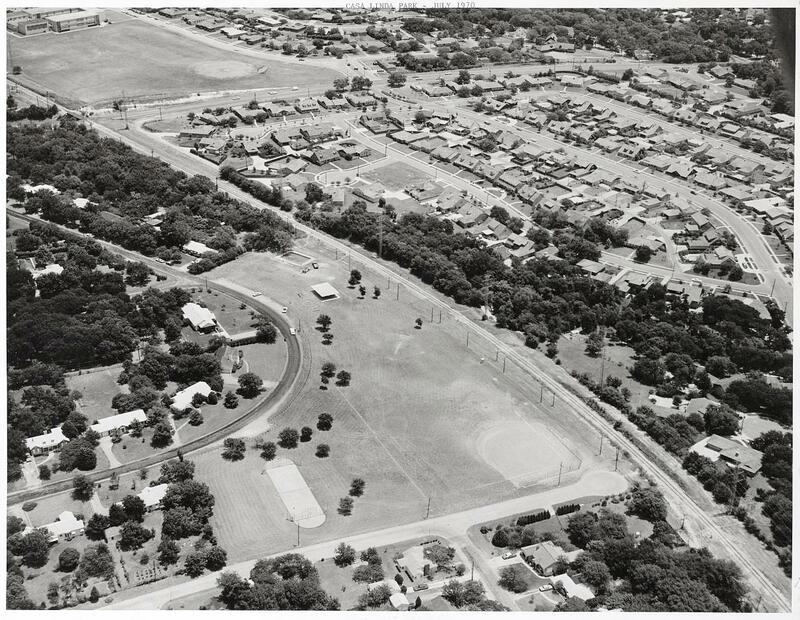 See aerials of nearby Casa View Park — taken by Squire Haskins between 1954 and 1974 — in the Flashback Dallas post “Casa View Elementary/Casa View Park — 1954-1974,” here. 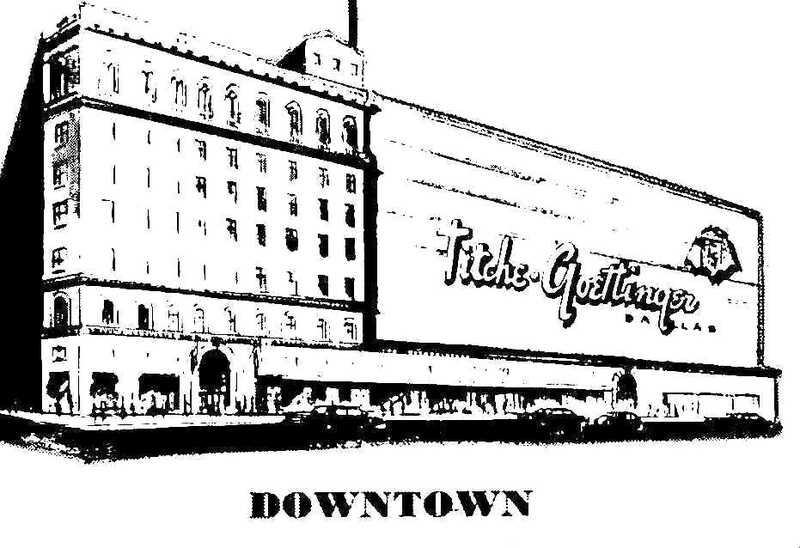 Edward Titche and Max Goettinger founded the Titche-Goettinger department store in Dallas in 1902, and in 1904 they moved into the new Wilson Building. In the late 1920s they built their own George Dahl-designed building at Main and St. Paul, which was greatly enlarged and expanded in 1955. 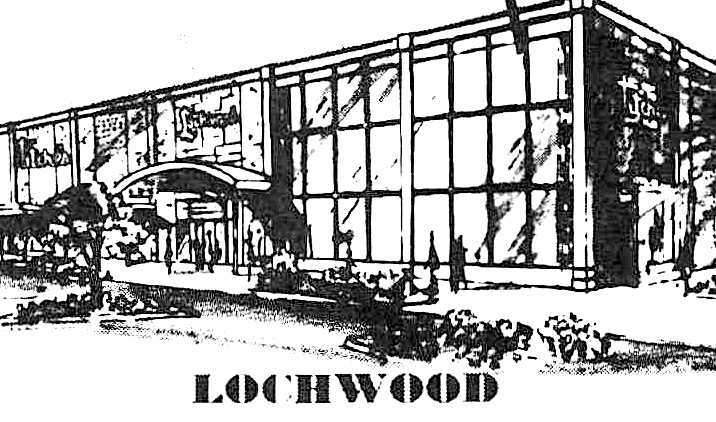 The store was popular with downtown shoppers, and profits continued to rise. The next logical step was to open additional stores. 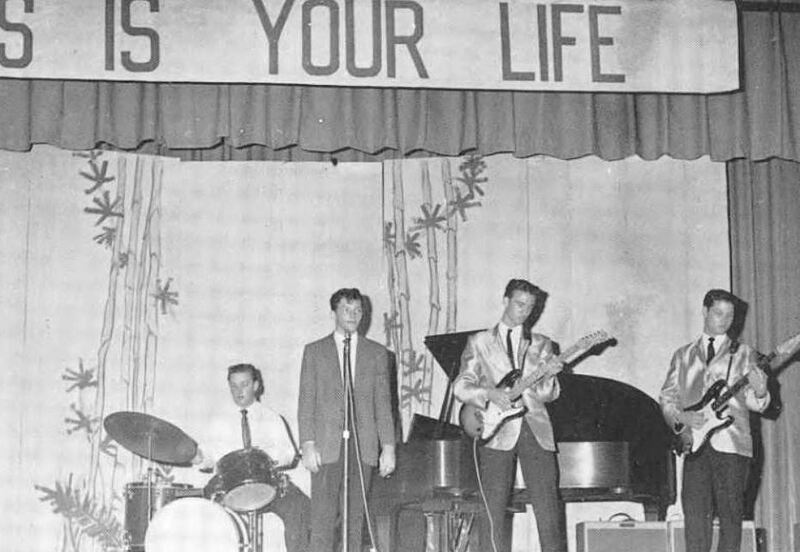 It took a while (59 years), but in October, 1961 they opened three — three! 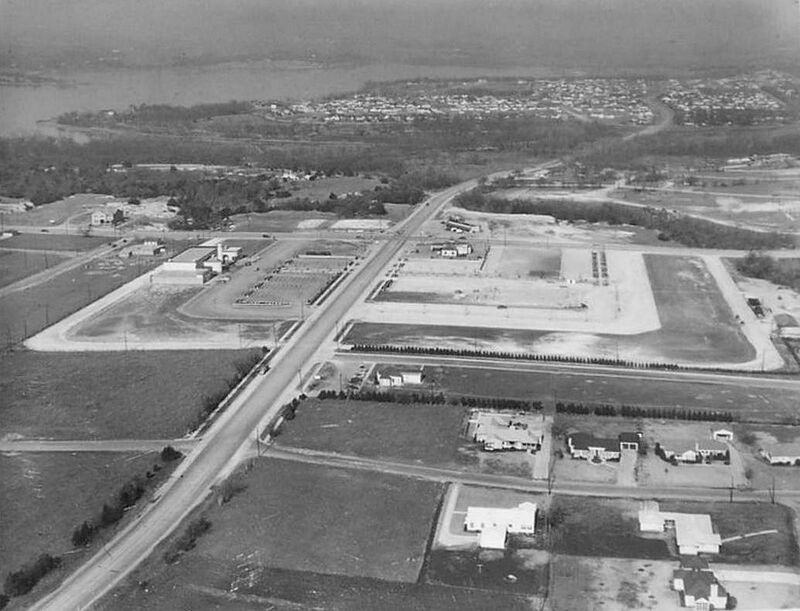 — new suburban stores. How was that possible? 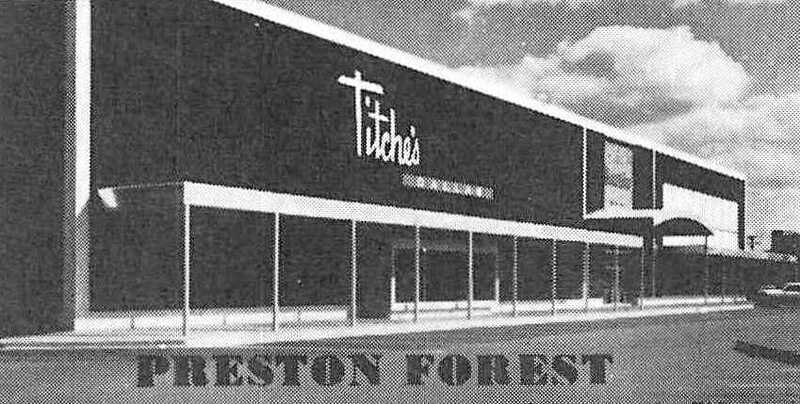 Because Titche’s (or their then-parent company) purchased the Fort Worth department store chain The Fair of Texas, and several of its stores were re-christened as Titche’s stores (the others eventually became Monnig’s stores). 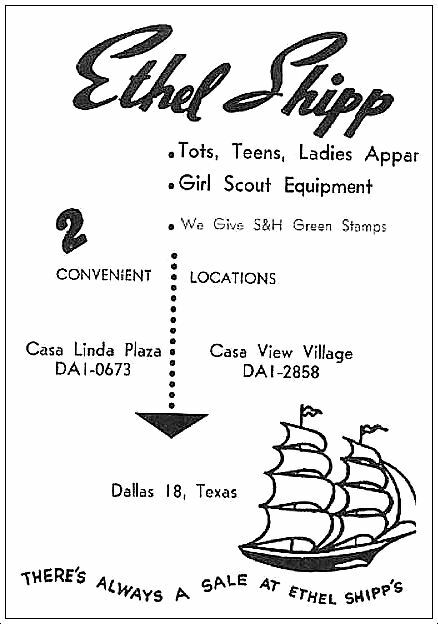 The ad above is from the 1969 Dallas city directory and shows that by 1969, there were seven Titche’s stores in the Dallas area. 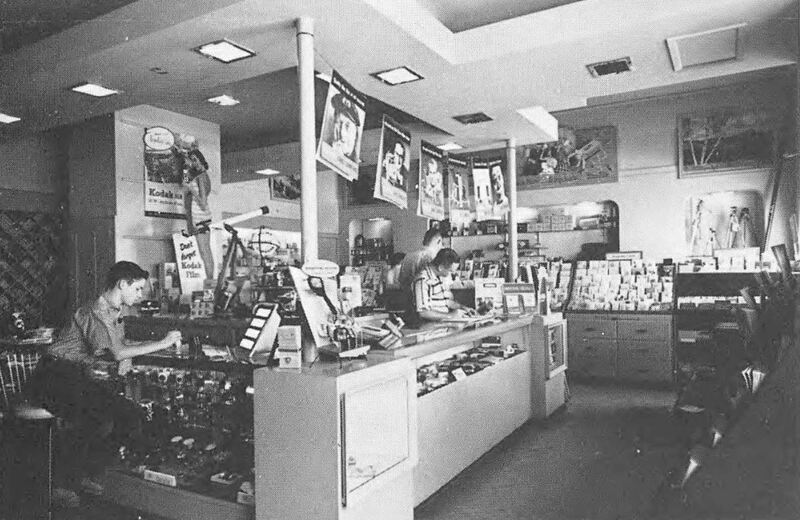 Titche’s bit the dust decades ago, and I have to admit that the only Titche’s store I actually remember ever being in was the one in NorthPark (and I might mostly be remembering Joske’s…). 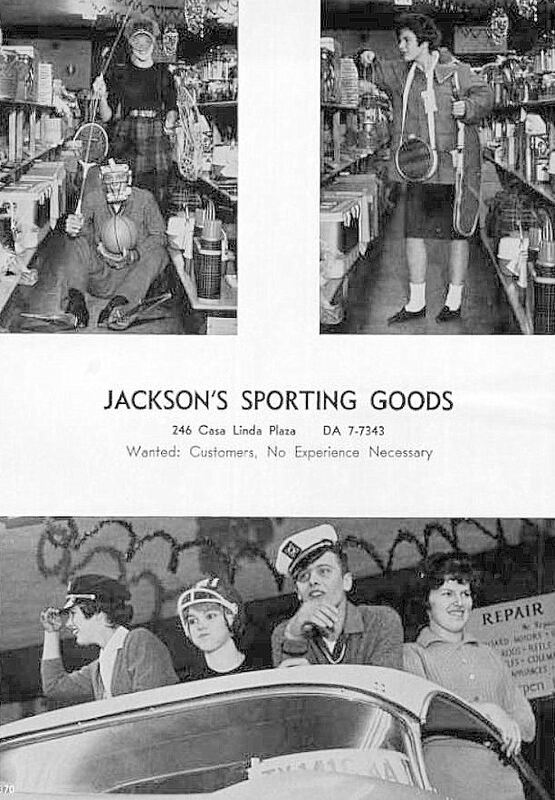 I had no idea about any of these other stores (other than the one at Main and St. Paul, which I wish I had been to!). 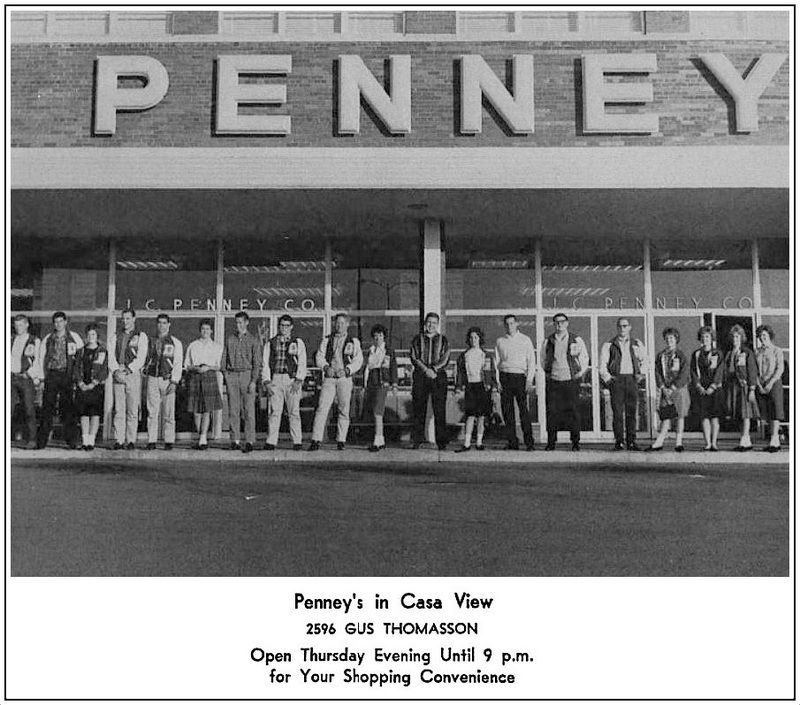 The oldest store in the ad above was the one on Main at St. Paul, still standing, still looking good (but, sadly, with that fab logo gone forever). 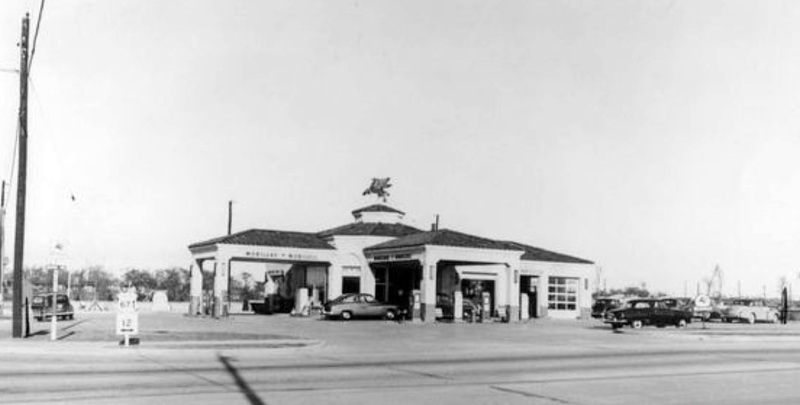 The Arlington store was also a former Fair store; it opened as Titche’s in July, 1963. 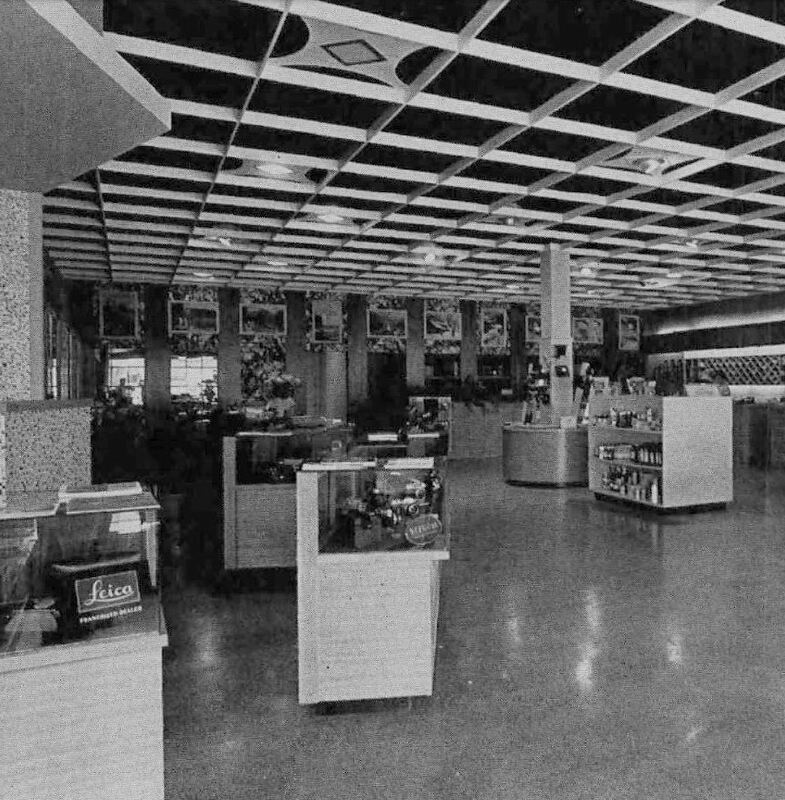 The NorthPark store — which occupied a quarter of a million square feet — was one of the first five stores to open in the brand new mall, in July 1965. 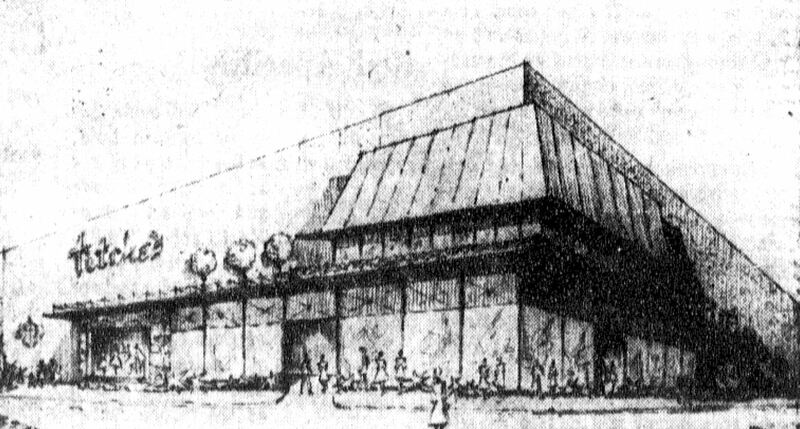 NorthPark Center is known for its wonderfully sleek, clean, no-nonsense modern architecture (as seen below), but an early proposed Titche’s rendering from 1962 (seen here) looks a little fussy. 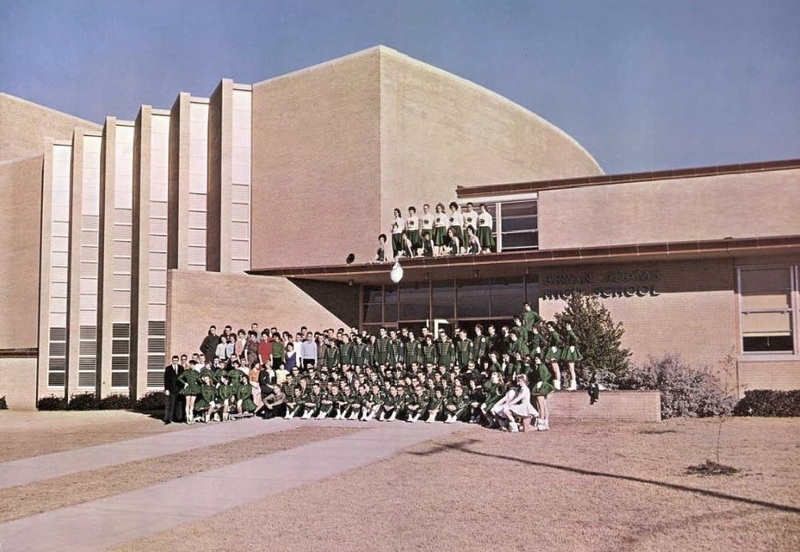 And, lastly, in this 1960s wave of expansion, a second downtown Dallas location was opened in the new One Main Place in December, 1968 in the form of “Miss Titche,” a concept-store created to appeal to “career girls” who worked downtown and enjoyed shopping during their lunch hours. 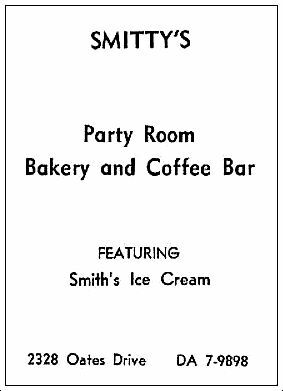 It was located on the “plaza level” which sounds like it might have been part of the then-new underground tunnel system of shops. 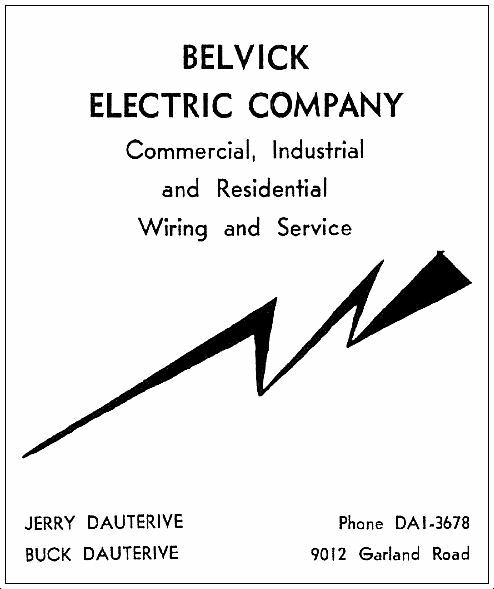 If newspaper ads are anything to go on, it looks like Miss Titche managed to hang on until at least 1975. 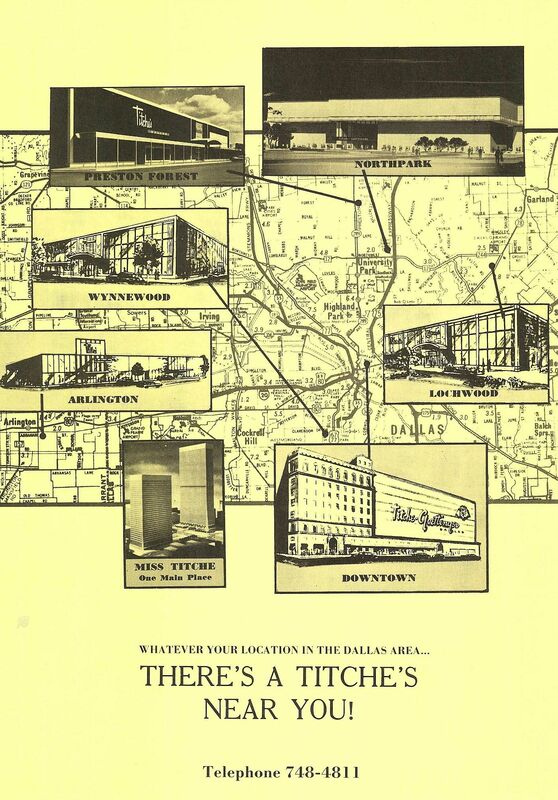 Titche’s continued opening new stores into the 1970s, but in August, 1978, it was announced that Titches’ parent company, Allied Stores Corp., was changing the names of all Dallas-area Titche’s stores to “Joske’s.” The nine Titche’s stores operating until the changeover were the flagship store downtown, Preston Forest, Lochwood Village (which became The Treehouse in 1974), Wynnewood, Arlington, NorthPark, Town East, Irving, and Red Bird. 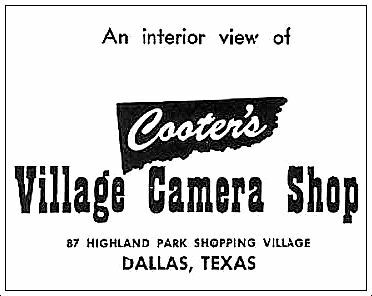 And, just like that, after 72 years, the name of one of Dallas’ oldest department stores vanished. 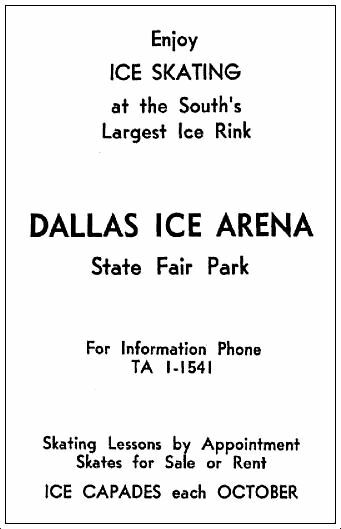 Ad and details from the 1969 Polk’s Greater Dallas City Directory. 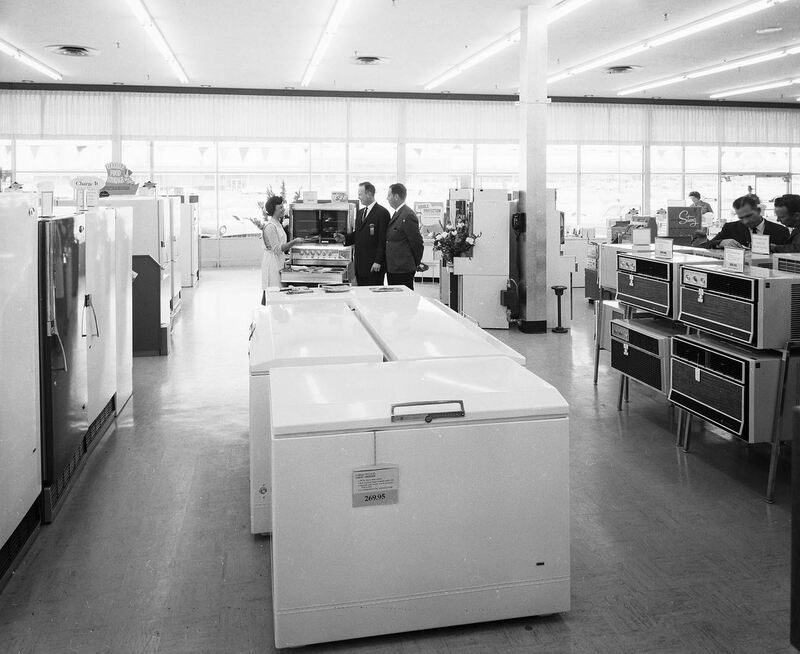 More on Titche-Goettinger can be found at the Department Store Museum, here. Sometimes you can find interesting historical photos in the most unexpected places — like my mother’s veterinarian’s office. 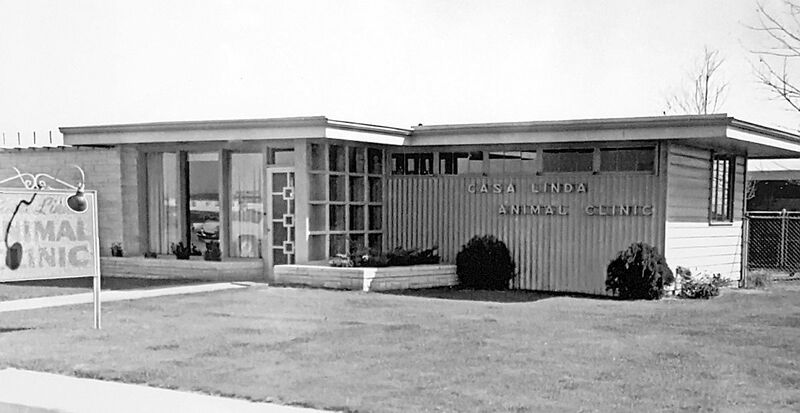 The photo above shows the cool mid-century design of the Casa Linda Animal Clinic, at 11434 Garland Road, just past the intersection with Jupiter. But back to the Casa Linda Animal Clinic (and it’s not really in Casa Linda, but I’m not sure what that area is). 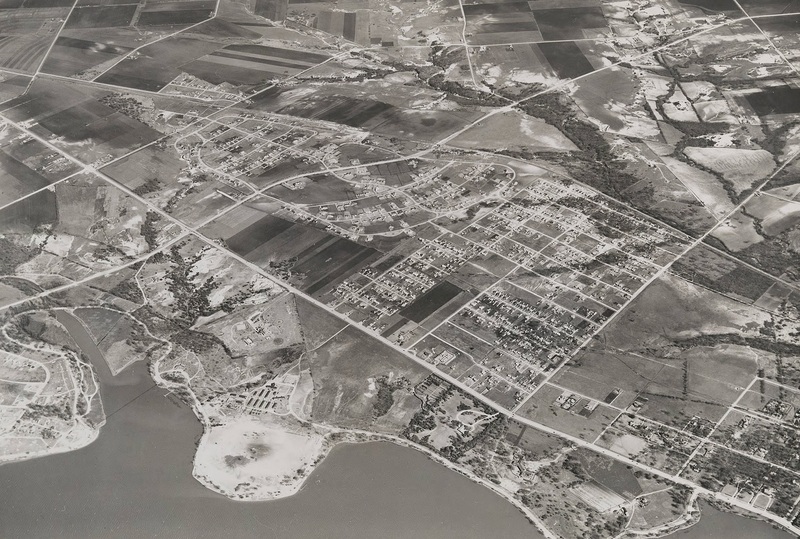 Being so far out in the sticks in 1948 probably explains how a couple of fairly recent Texas A&M veterinary school grads (and former WWII servicemen) who were still in their 20s were able to buy land for their first practice. 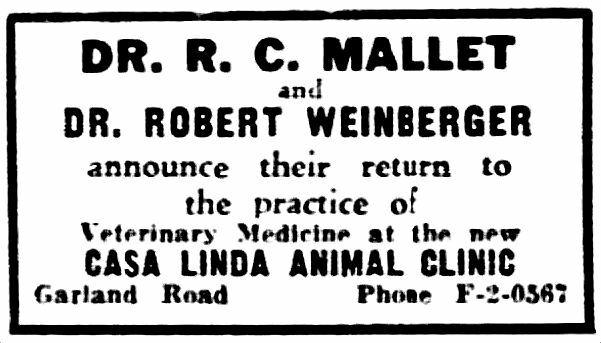 The money they saved on real estate was apparently put into building a well-appointed clinic (according to Dr. Weinberger’s obituary, the clinic itself was “designed in collaboration with Texas A&M as sort of a showpiece of a modern, small-animal veterinary clinic”). 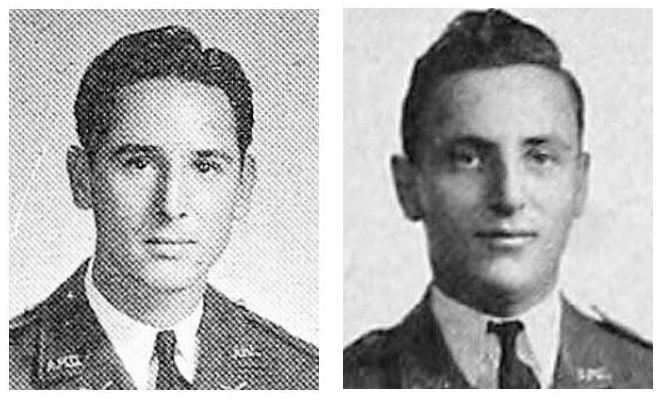 Below, photos of Mallett, on the left, and Weinberger, from their vet school days at A&M — both were Class of ’44. 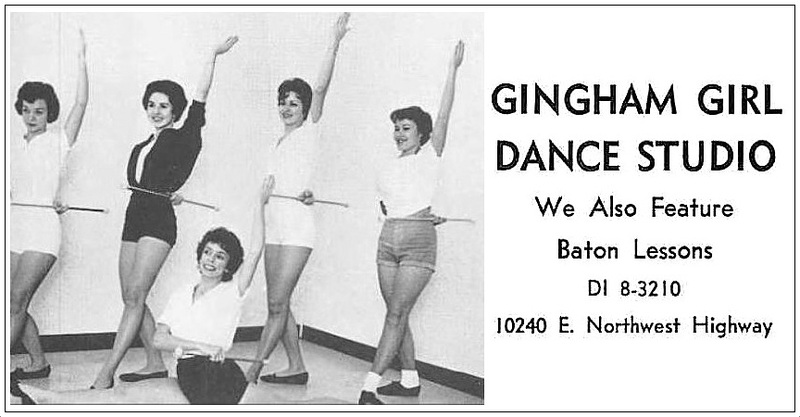 The clinic has gone through several partners and owners over the past 69 years, but it’s nice that it’s kept the same name all this time. 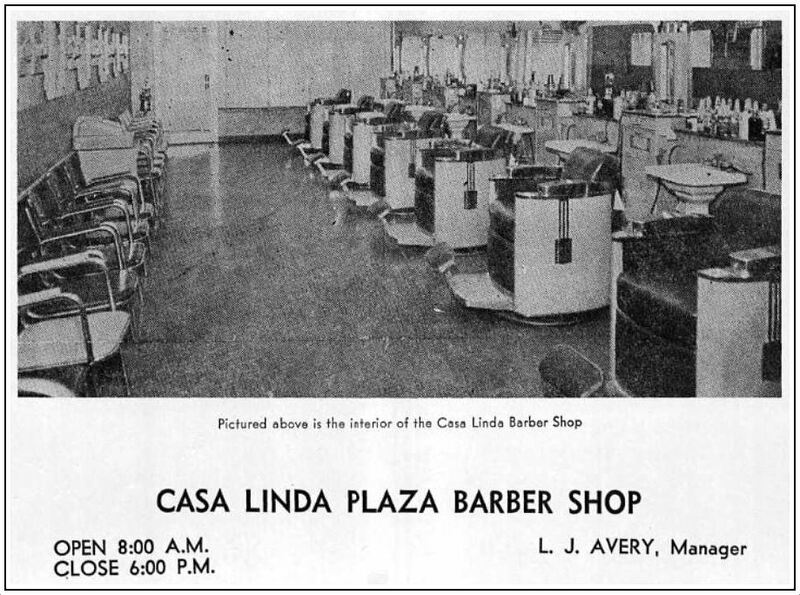 I would assume that it has become something of a neighborhood fixture and has probably treated the pets of several generations of Casa Linda, Casa View, and Lochwood residents. 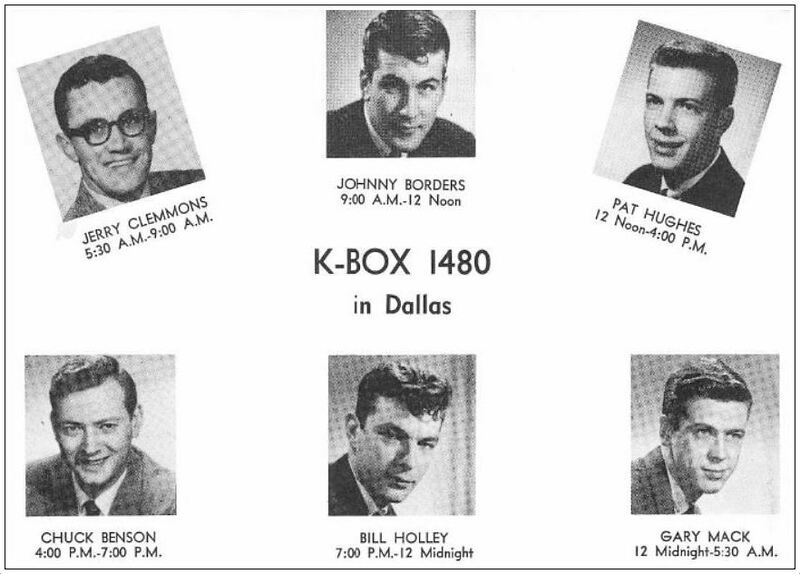 …Maybe even some from Garland. And now I know more about my mother’s veterinary clinic than she does! Top photo is on the wall of the Casa Linda Animal Clinic. 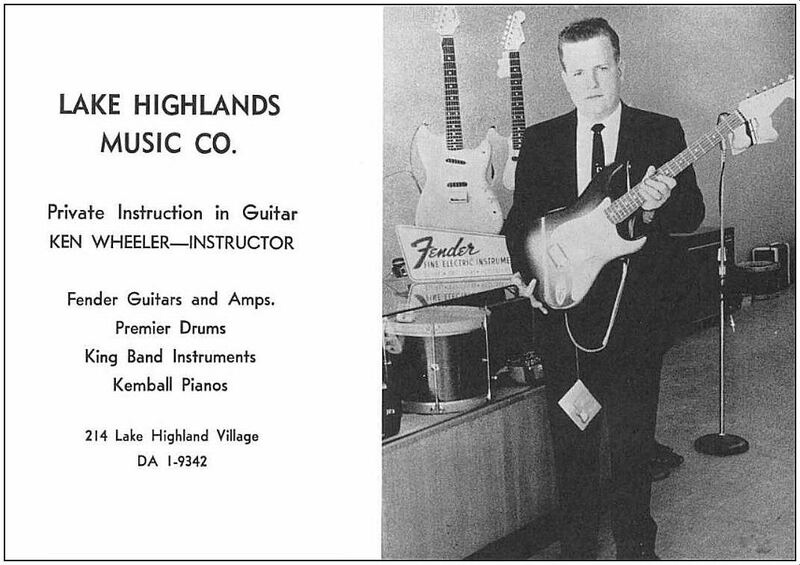 I wish more businesses would post old photos like this. If the (very nice) staff saw me taking this photo of a photo this morning, they probably wondered what I was doing. I’m afraid I didn’t ask permission to reproduce it, so it seems only right that I direct you to their website if you live in the area and are looking for a veterinarian. 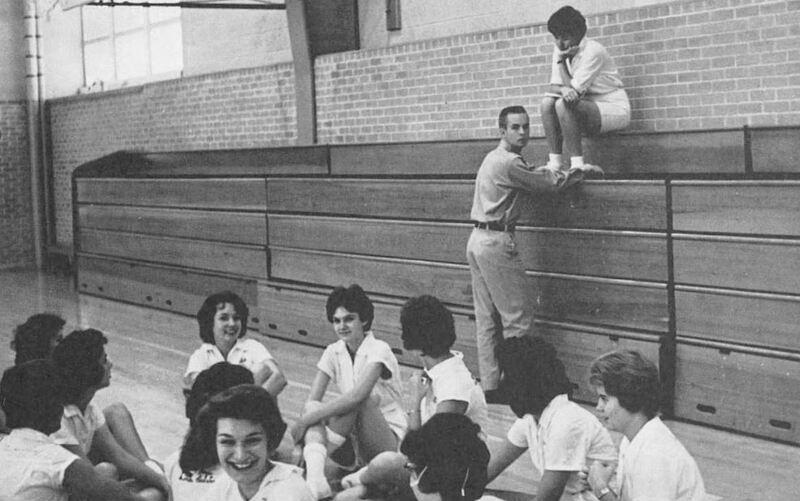 Photo of Roland C. Mallett (1920-2010) is from the 1943 Texas A&M yearbook; photo of Robert Weinberger (1922-2009) is from the 1942 yearbook. 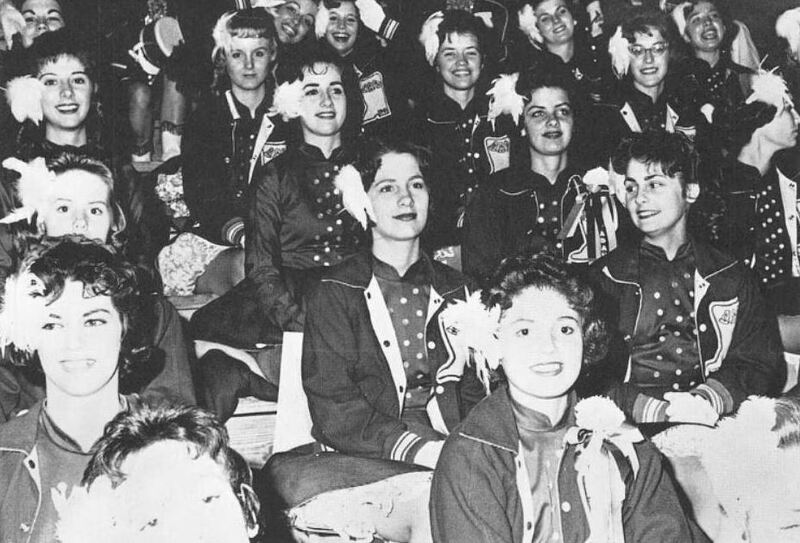 Both graduated in 1944. 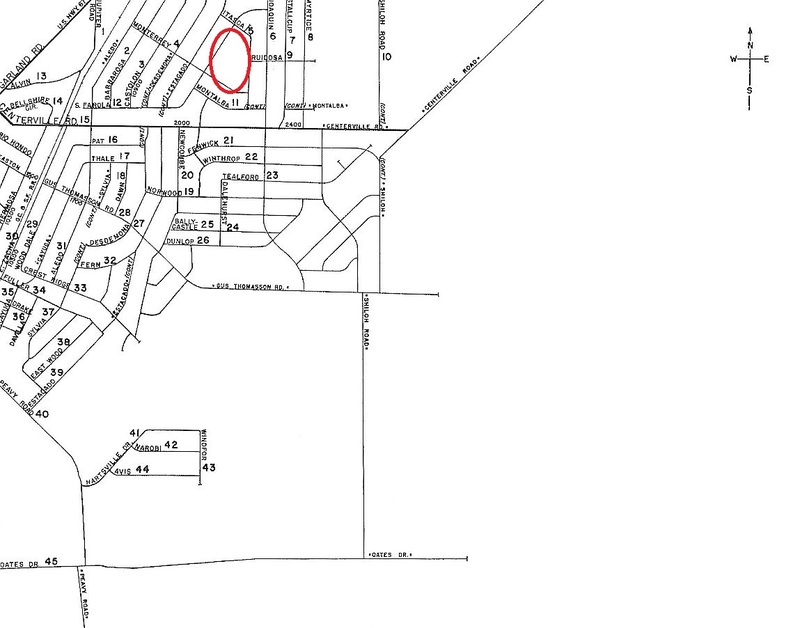 Current boundary map of Garland can be found here. All photos and clippings are larger when clicked. 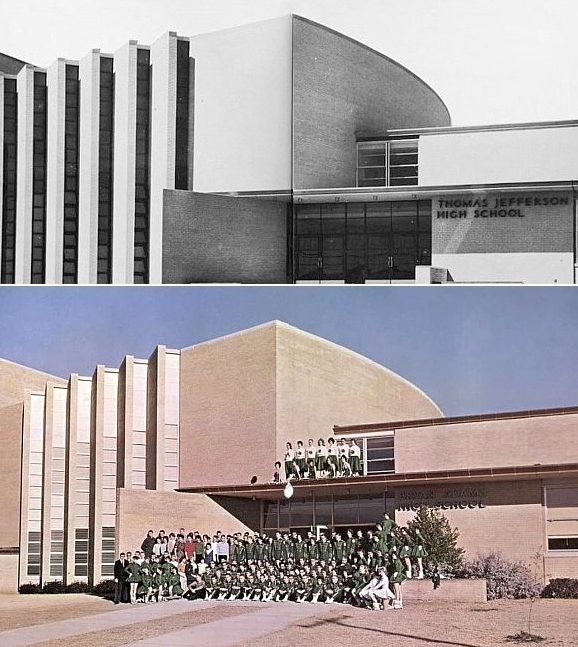 Here they are, as seen from street level: a 1957 photo of TJ on top, a 1961 photo of BA below it. 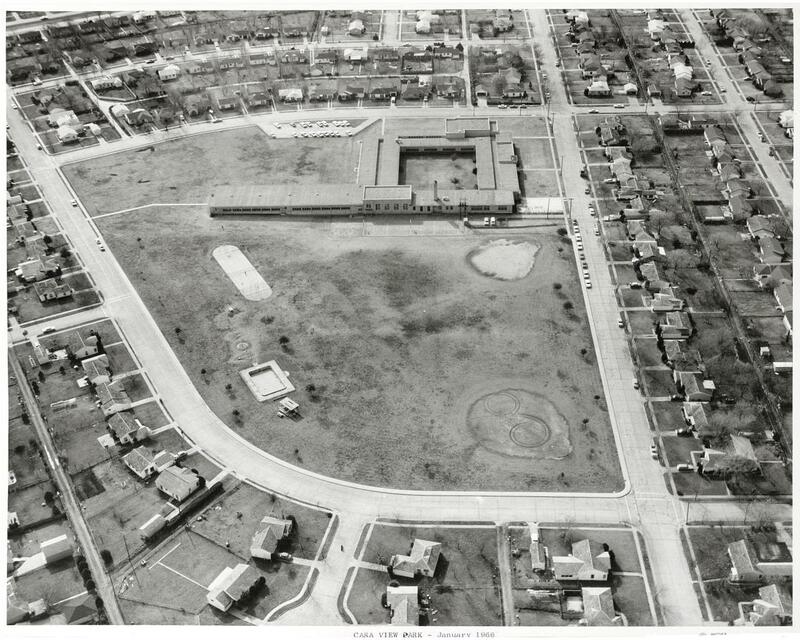 Even though duplicating architectural plans for schools had never been done before (in Dallas, anyway), and even though local architects were very unhappy about this, the architects on both projects — Robert Goodwin and L. C. Cavitt, Jr. of Goodwin & Cavitt, Architects — argued that this duplication would be both practical and economical: using the same plans would save money as well as more than six months in planning time. 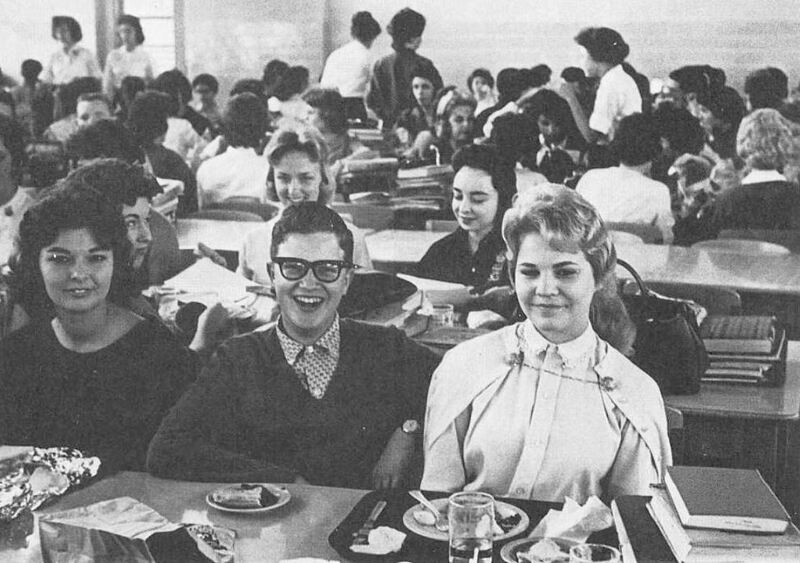 I don’t know if this sort of thing happened again in DISD, but the cross-town twin high schools opened in Dallas in 1956 and 1957. And I still think it’s kind of strange. 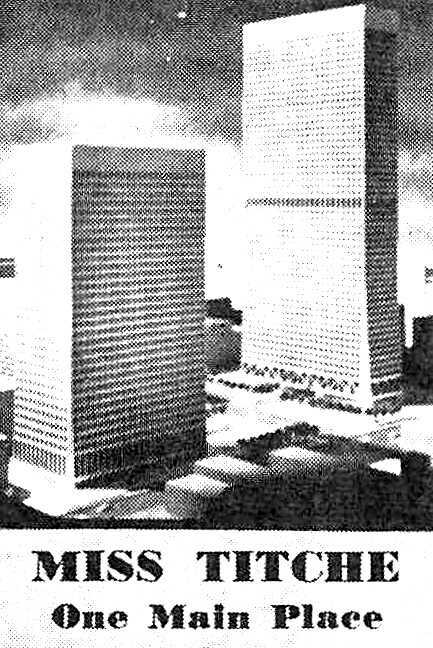 Drawing at the top appeared in the 1961 Bryan Adams yearbook, but it might well have been the architectural rendering prepared for the Thomas Jefferson project. Either way, it’s pretty damn cool-looking. 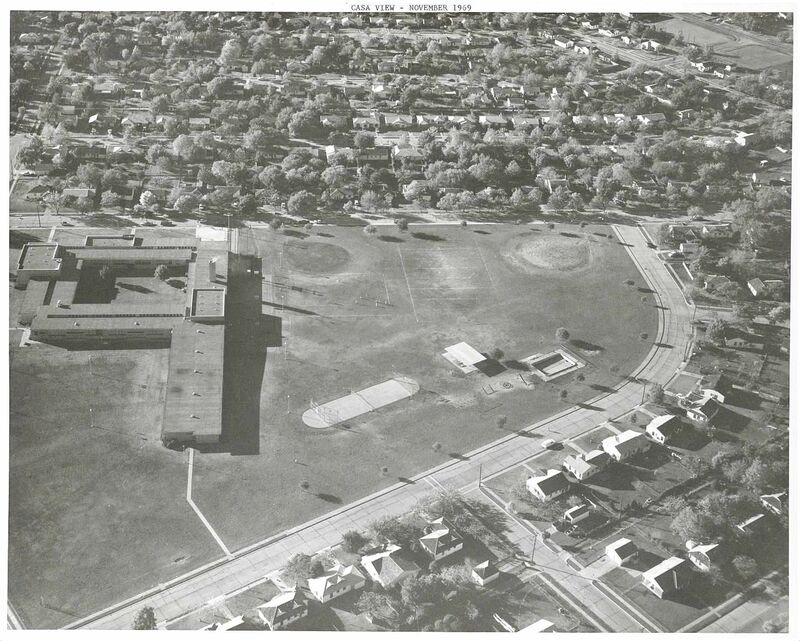 The schools have undergone changes over the years, but they still look alike. 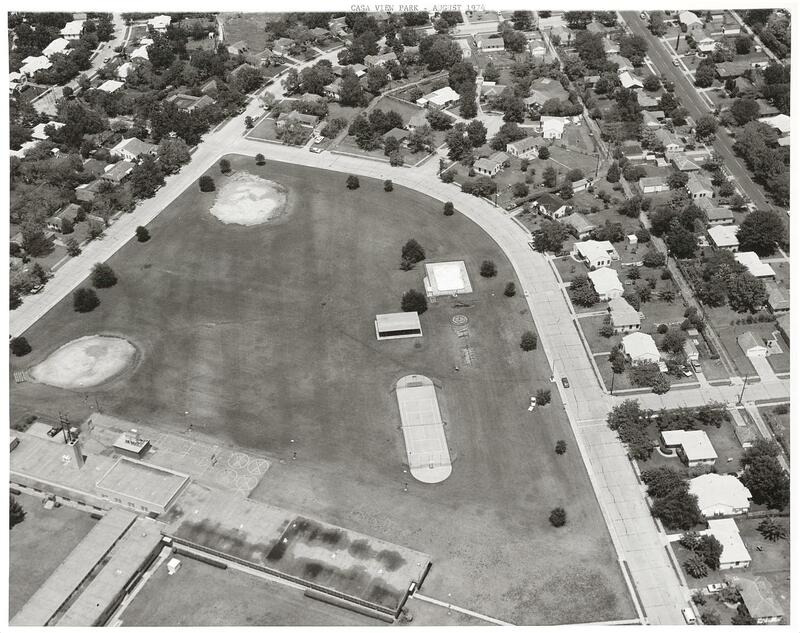 See current aerial views of both campuses, via Google: Thomas Jefferson is here; Bryan Adams is here. All images and clippings are larger when clicked. 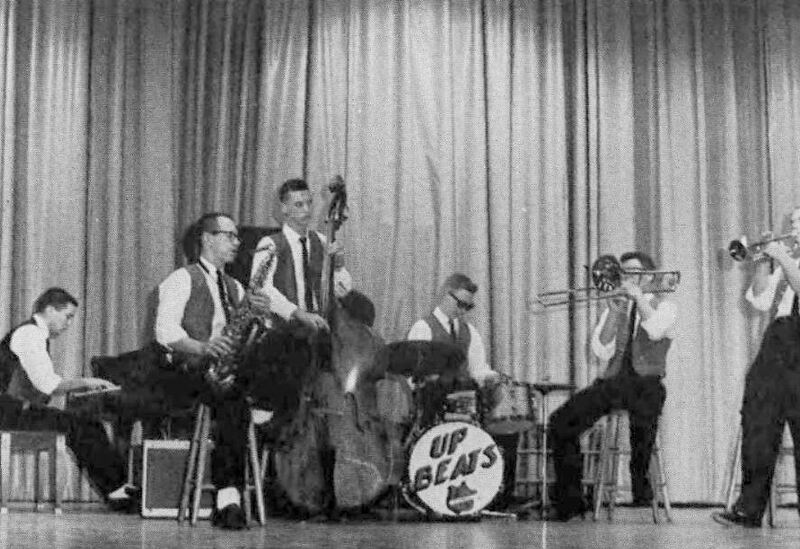 I was in band in high school. 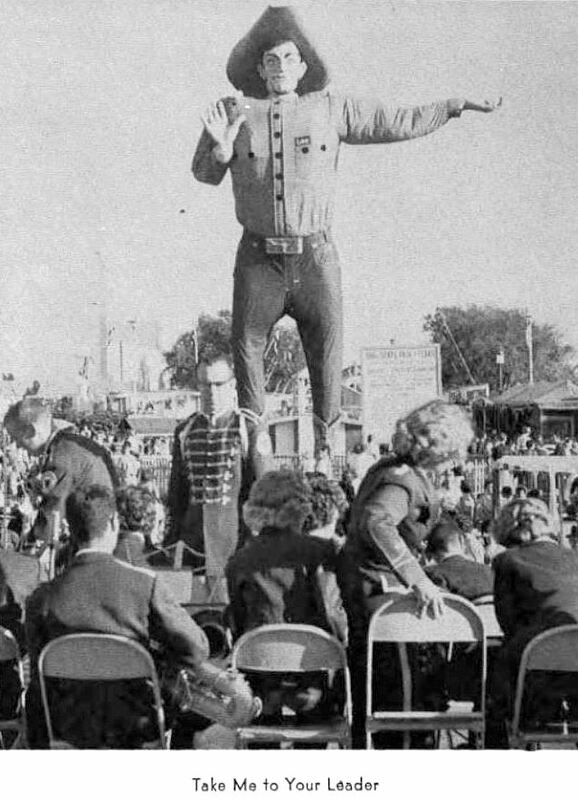 We never got to play at the State Fair of Texas at the feet of Big Tex. 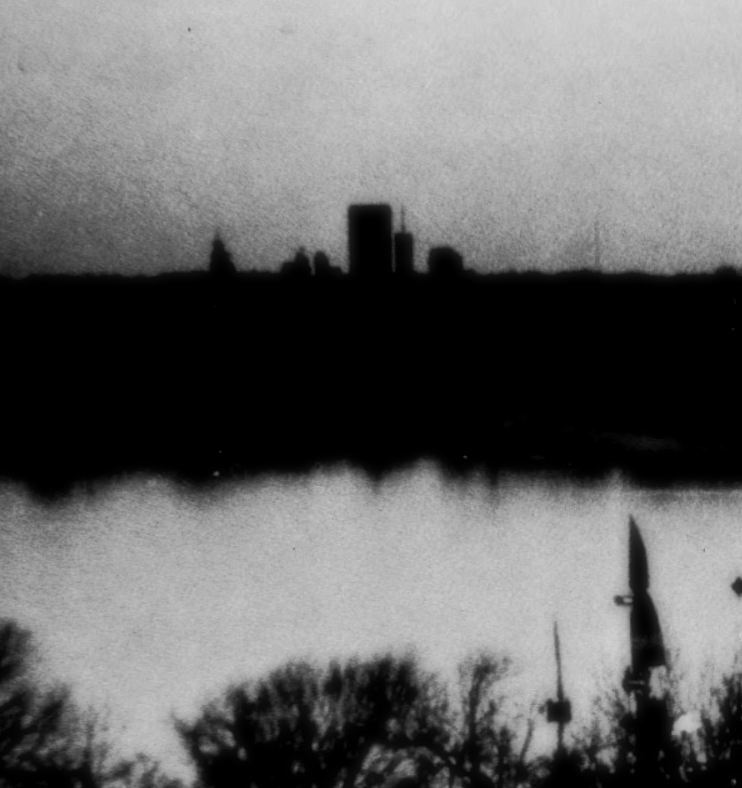 Grainy photo that’s interesting mostly because of how tiny downtown looked from the eastern shore of White Rock Lake back in 1962. 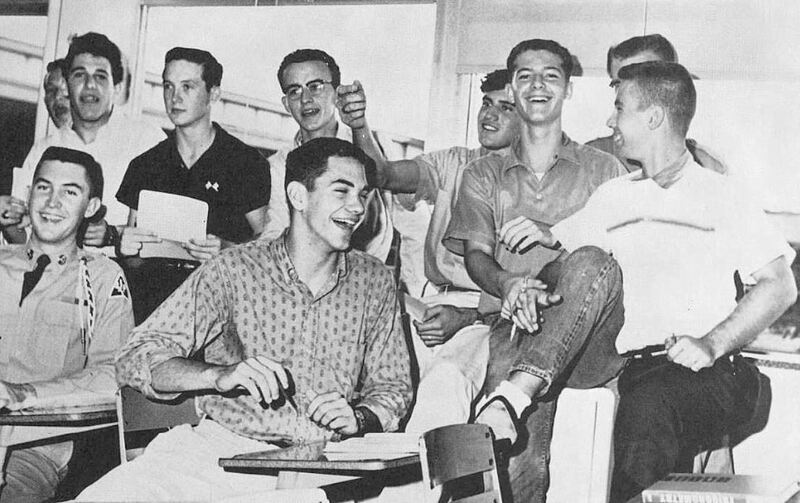 All photos from the Bryan Adams High School yearbook, El Conquistador — all are larger when clicked. 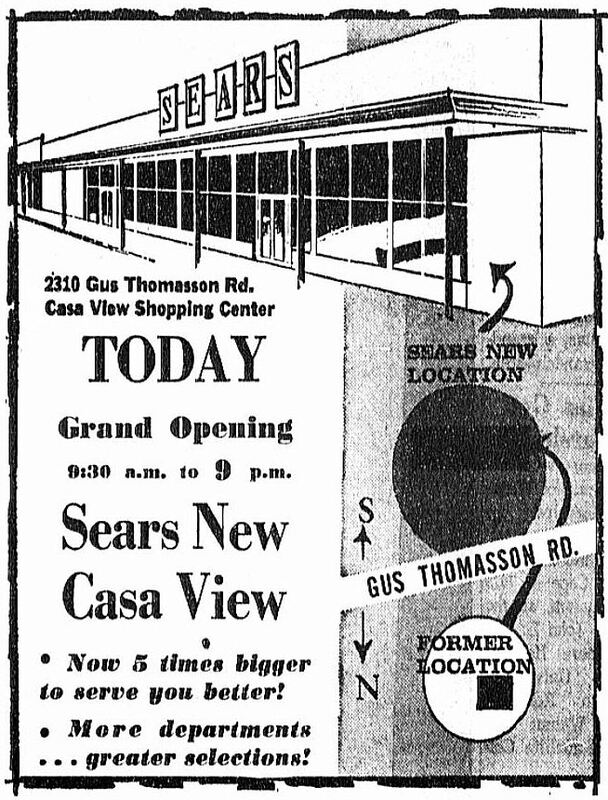 Apparently the store was so successful that in March, 1964, a brand new Sears opened up in a five-times-larger location (2310 Gus Thomasson) across the street — the photo at the top of this post was probably taken when it was in its first months. 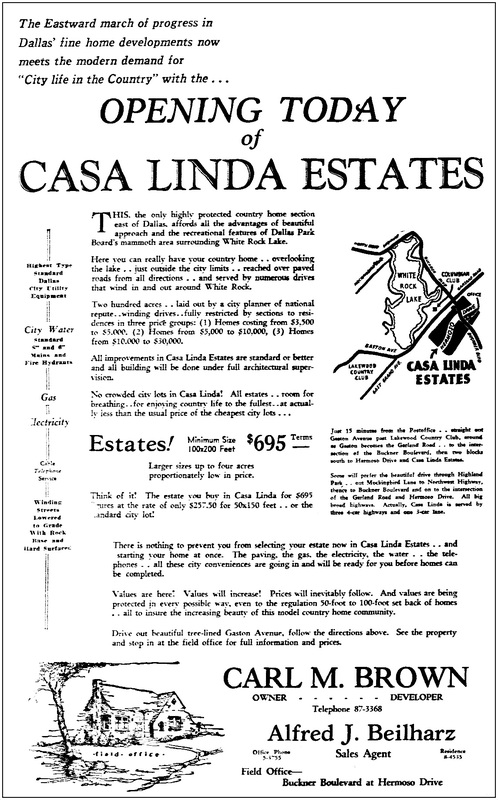 But then the ownership changed hands in early 1955, and it was renamed Casa View *Village* and reopened in April under the new name. 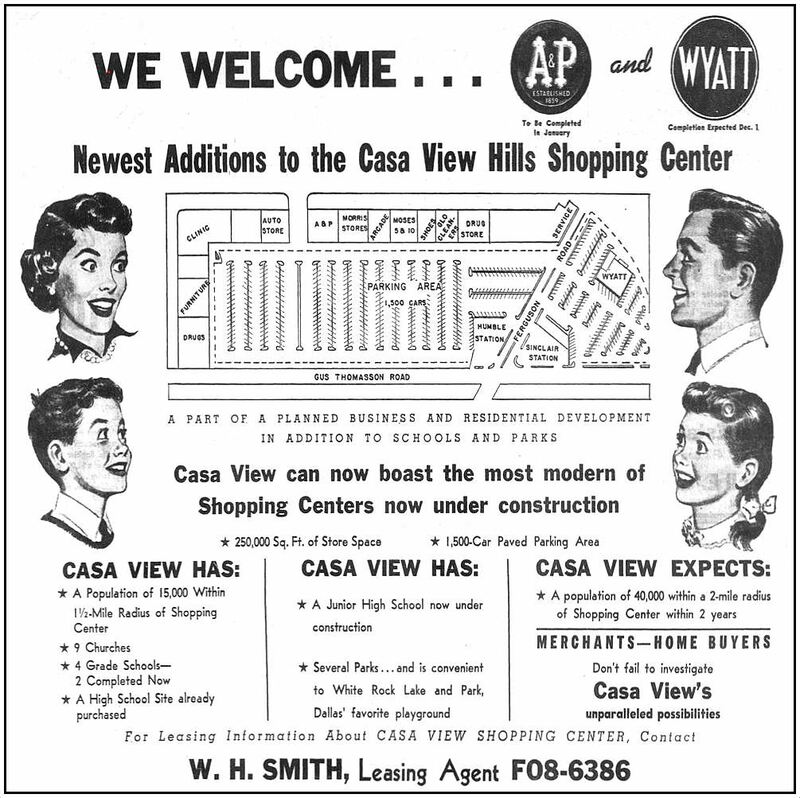 In the meantime (I might have this chronology a bit out of whack), Casa View Center had been built in 1954, diagonally across the street. 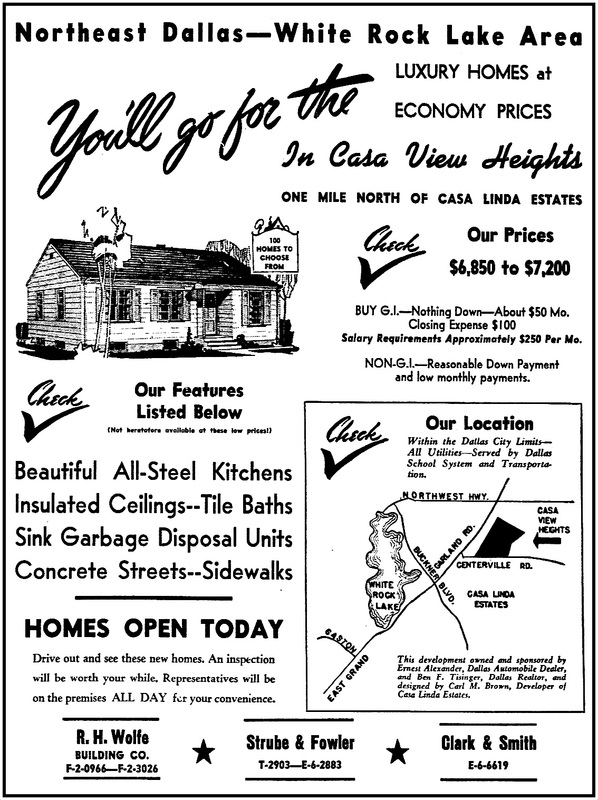 And then in 1955, construction began on an expanded Casa View Village. 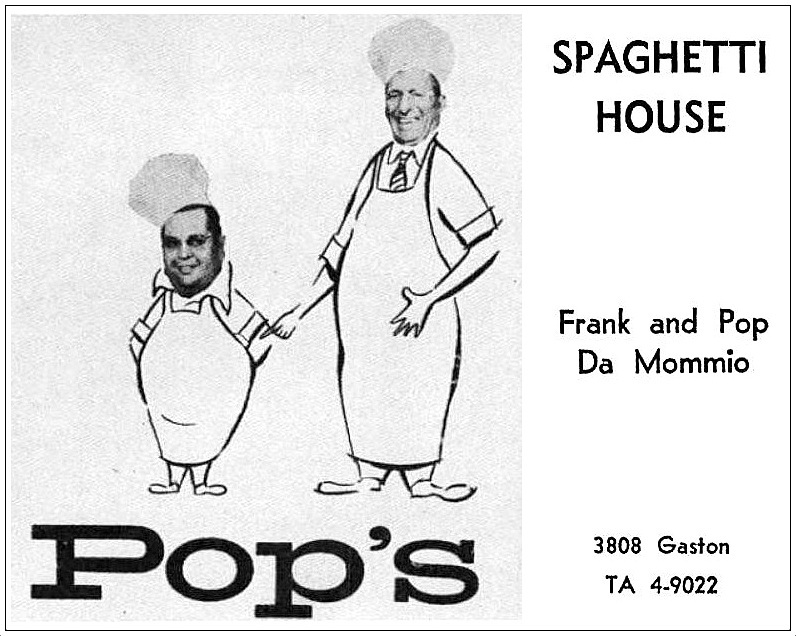 (This might have been its second expansion. 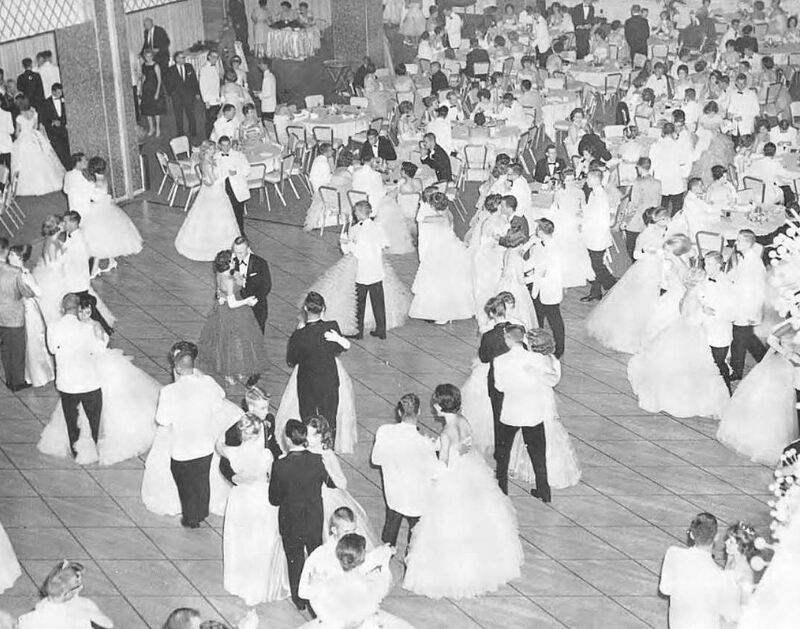 Casa View was hopping in the mid-’50s!) 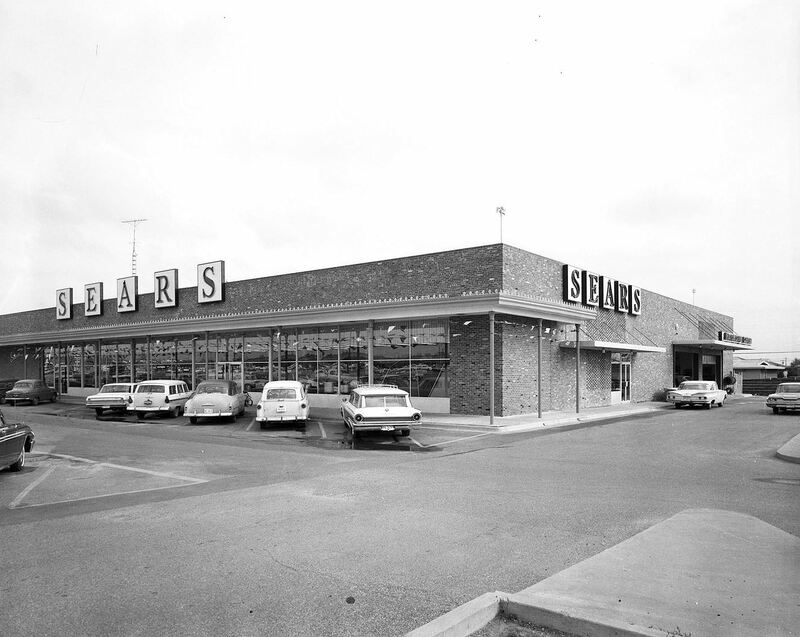 And Sears had had stores in both Casa View Village and Casa View Center. It’s all kinda confusing. The Casa View Shopping Center (I don’t know what its official name is these days, but I’m going with this) is looking a little ragged these days, but it still has a quirky charm, and I’m happy to see it still chugging along after 60 years. The Casa View Wikipedia page is here. 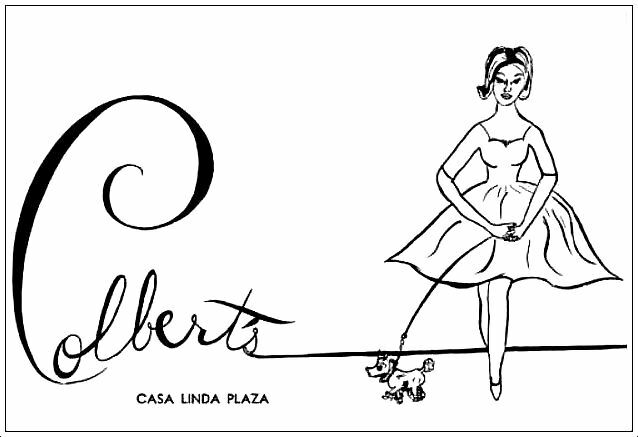 D Magazine has a “Dallas Neighborhood Guide” to Casa View here. 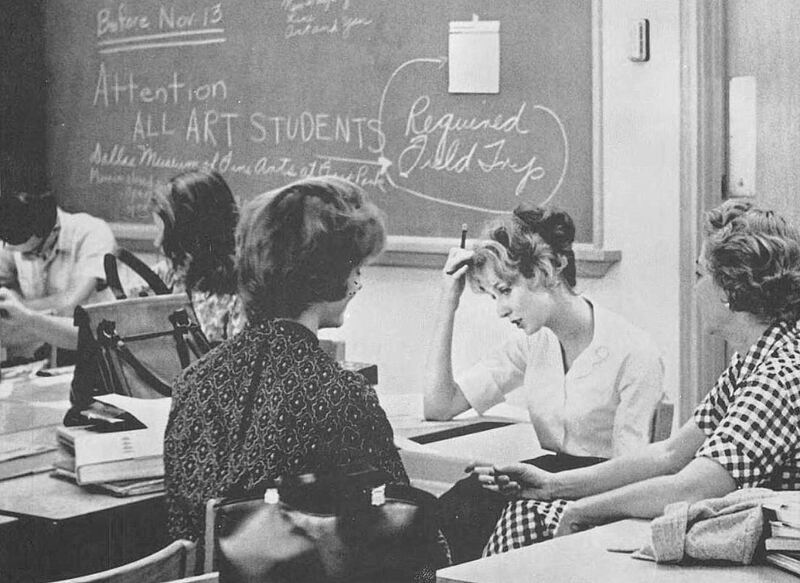 Other businesses once located in these shopping centers can be found in the post “Bryan Adams High School: Yearbook Ads from 1961 and 1962,” here.